Welcome to Europe, the land of promise, of glamour, of beauty, of fun and of history! 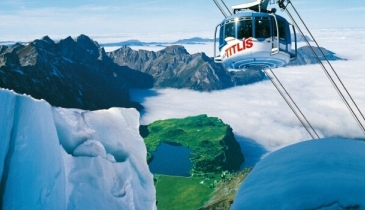 Europe has always been at the top of a world traveller’s list. We bring to you a vacation curated lovingly, to ensure that you enjoy the very best of Europe in this trip. Have a perfectly romantic holiday to the most famous places in Europe, to be able to gather all the jewels it has to offer, an experience that you will cherish for the rest of your life! Welcome to the beautiful, historic city of Rome. On arrival, our tour representative will meet you outside the customs area for your transfer to hotel. Check in at the hotel and relax. 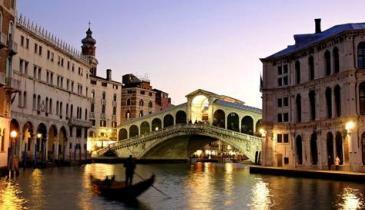 In the evening, you can go for a self exploration of the romantic city. 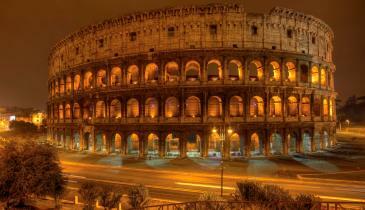 Known as the Eternal City, it has abundance of attractions for the tourists. Just take a stroll in the lanes and get a real Rome feel. Later proceed to a lovingly chosen Indian restaurant for dinner. After dinner return to the hotel. After a pleasant breakfast check out from the hotel and set out to tour this brilliant city, and the Vatican City, the seat of the Catholic Church, and home of the pope. As the saying goes, Rome wasn’t built in a day, and the sights and sheer magnitude of the architecture tells us why! Vatican also happens to be the smallest country, but with one of the richest art collection in the world! During the course of the day, we will get to see Piazza Venezia in the very heart of the city, Victor Emmanuel II monument, the hugely popular coliseum, St. Peter’s Basilica, and myriad other historic buildings. Later drive to Florence / Pisa. On arrival we will have dinner at a carefully chosen Indian restaurant, before heading to the hotel for check in. After a delightful breakfast at the hotel, we will checkout of our hotel. Later we will begin with a tour of “The Field of Miracles and Dreams” which happens to be one of the most famous places in the world. This whole square will charm your senses as its lush greenery hosts the leaning Tower of Pisa, the Camposanto, the Duomo and the Baptistery. The whole square is a UNESCO World Heritage Site. Later drive to Venice / Padova. On arrival, we will proceed for City tour of this fantastic city. With charming Gondola rides on the canals, the beautiful architecture, the myriad museums and the many islands dotting its shore, Venice is a delight like no other. Steeped in history, this city has a lot to offer. We will see St Marks’ Square, Doge’s Palace, the prisons of Venice, the utterly romantic bridge of sighs, the clock tower, and the most church this city boasts of, St. Marks Basilica. Later we will dine at a lovingly selected Indian restaurant, after which we will drive to the hotel for check in. After a brilliant breakfast at the hotel, check out from the hotel. We will leave for Zurich (by coach). On arrival we will have dinner at an Indian restaurant, before checking in to our hotel. After spending a few hours in this magical area, in the afternoon, we will proceed to the picturesque Lucerne. We will get to know the city intimately with a city tour, which would take us to the Kapellbruck Bridge and the famous Lion monument. We will get some time here to shop for some famous Swiss memorabilia like Swiss chocolates, Swiss army knives and Swiss watches. Later return to the hotel after having dinner at Indian restaurant. After a brilliant and hearty breakfast, get ready to visit the hauntingly beautiful Black Forest in Germany. We will visit the Drubba village, the original makers of the famous cuckoo clocks. We can see how these are made, and get a chance to buy them as unique gifts or souvenirs. We will later drive to Rhine Water Falls, Europe’s most powerful water falls! The sheer force and the thundering beauty of these falls will make this a memorable experience. Later in the evening we will proceed to an Indian restaurant for a delightful dinner, after which we will return to our hotel. After a hearty breakfast, we will check out from the hotel and leave for Paris by coach. We will have an exceptional view of the beautiful Swiss farms, the chalets, the lakes and the magnificent Swiss Alps on this drive. As we arrive in Paris, we will have dinner at an Indian restaurant, before checking in to our hotel. After a sumptuous breakfast at the hotel, we will proceed to visit the most famous landmark of Paris - the magnificent Eiffel Tower. We will get a bird’s eye view of the beautiful Paris from an impressive height of 377 feet, from the second level of Eiffel Tower. 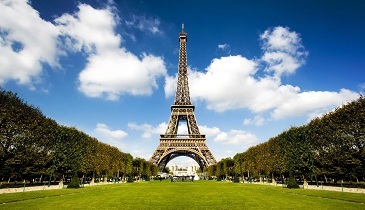 After this, we will go for a magical river cruise of the Seine River. After this invigorating cruise, we will begin our city tour of this historic city, exploring Paris and all its iconic and glorious sights! We will visit Champs Elysees, one of the most famous and glamorous boulevards in the whole world, with iconic stores and impossibly beautiful cafes lining the street. We will visit the wonderful opera, the gorgeous Town Hall and the National Assembly, we will see the famous Louvre museum (from the outside), the legendary Notre Dame cathedral and the Arc De Triomphe. 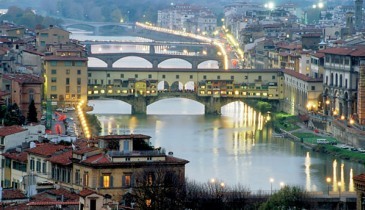 Best of Italy, Switzerland & Paris Option not available online please contact us for more details.